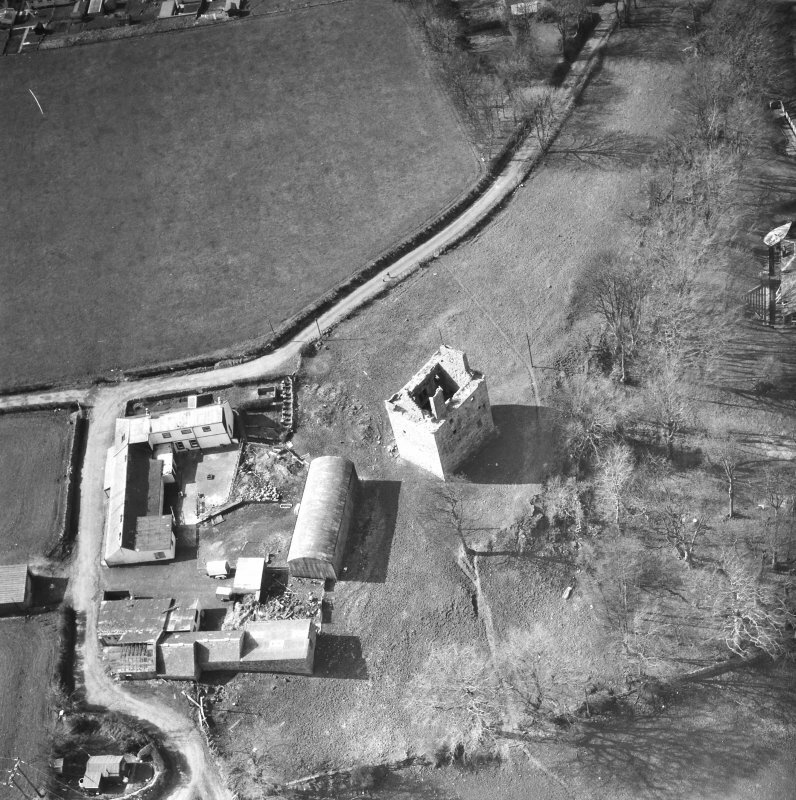 Oblique aerial view of Law Castle, taken from the NE. 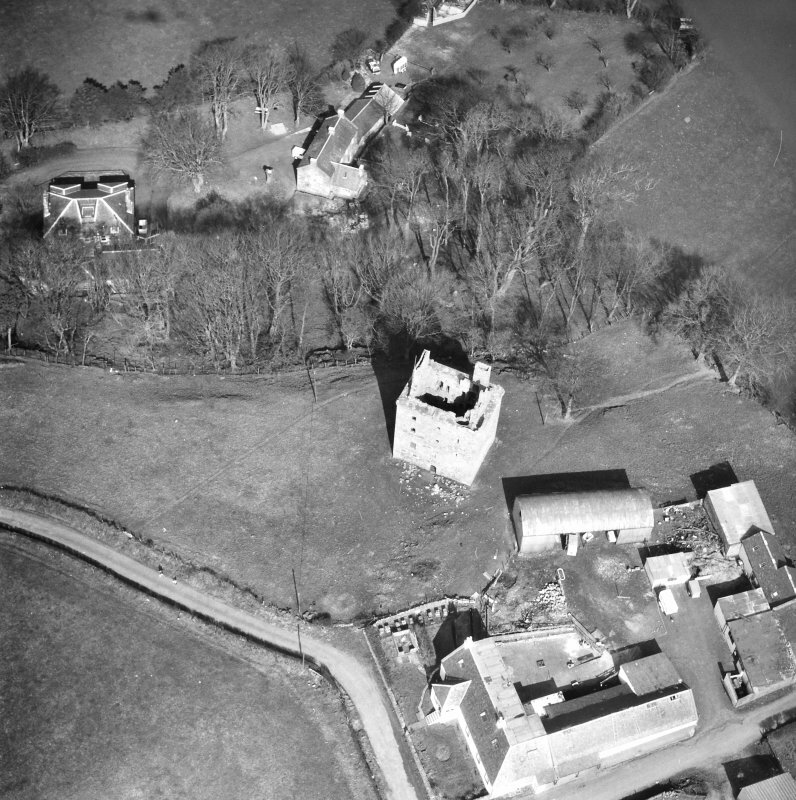 Oblique aerial view of Law Castle, taken from the SE. 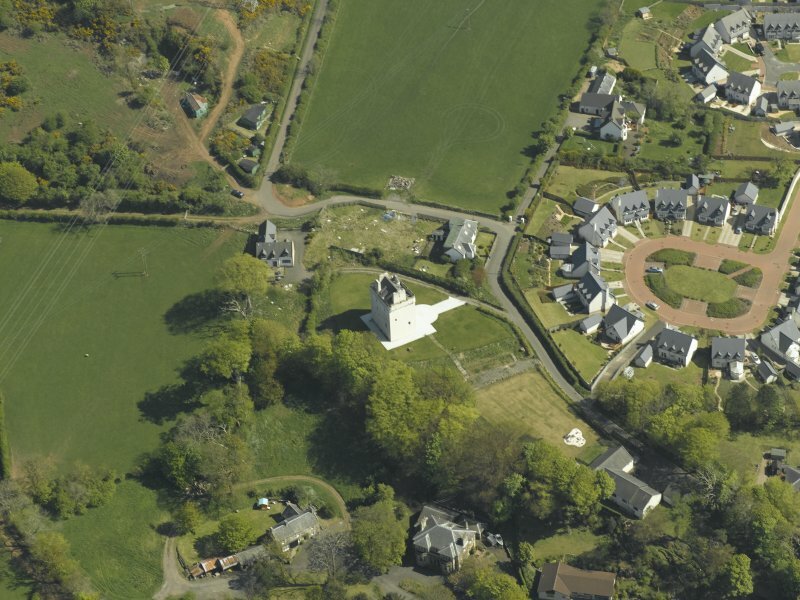 Oblique aerial view centred on Law Castle, taken from the SSW. 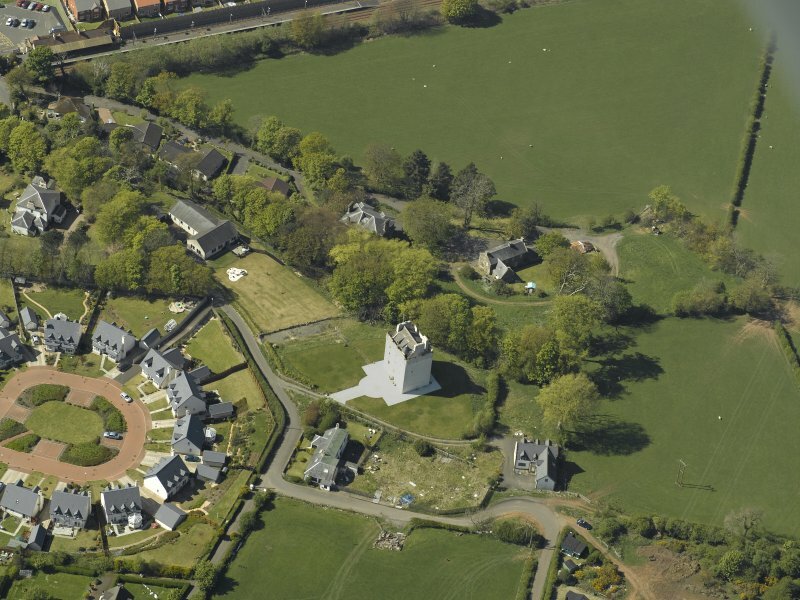 Oblique aerial view centred on Law Castle, taken from the NW. 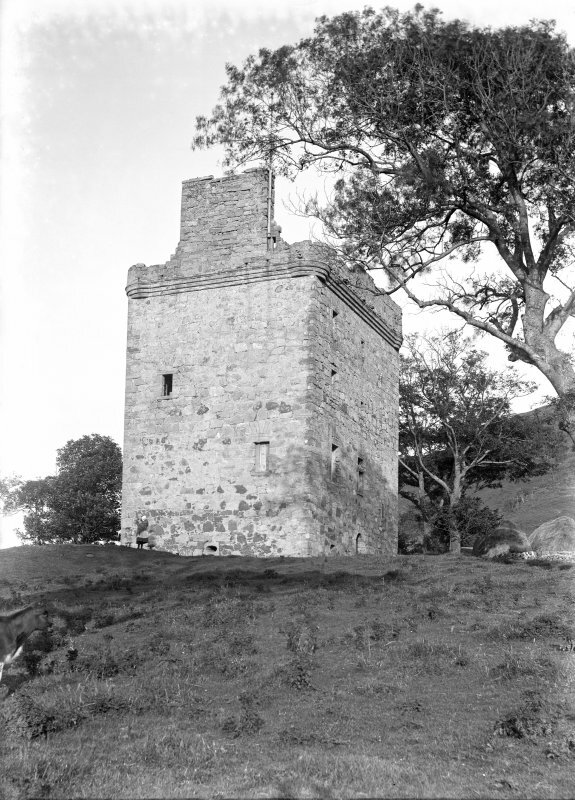 Historic photograph showing view of castle. 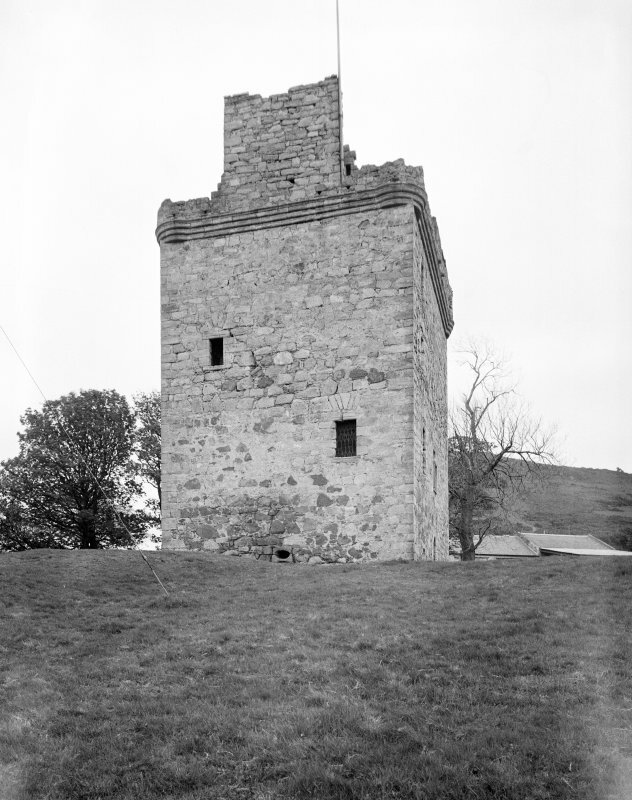 Law Castle. View from North-West. 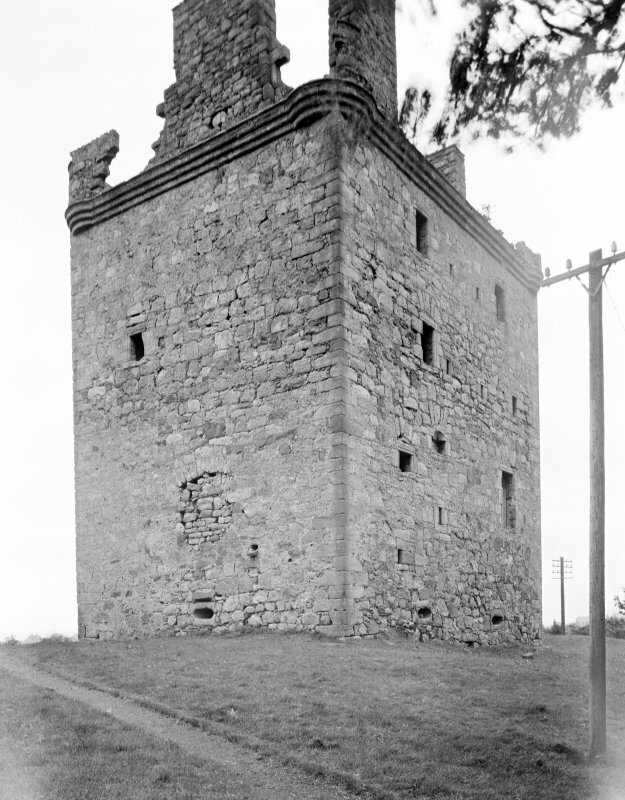 Law Castle. View from South. 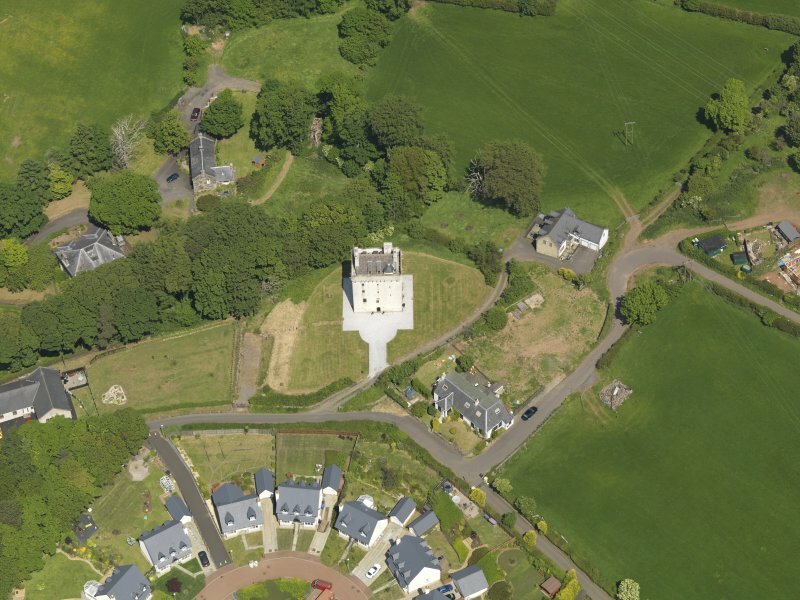 Oblique aerial view centred on Law Castle, taken from the SE. 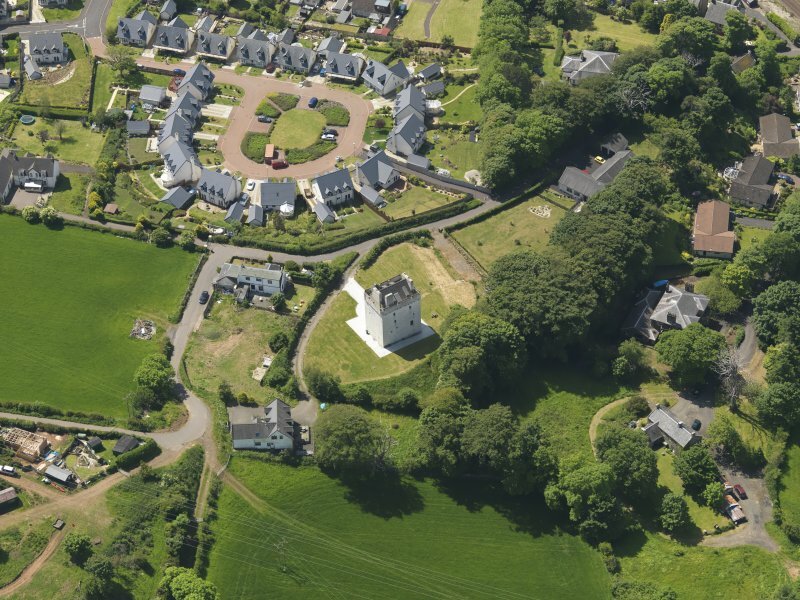 Oblique aerial view of Law Castle, taken from the S.
Oblique aerial view centred on Law Castle, taken from the NNE. 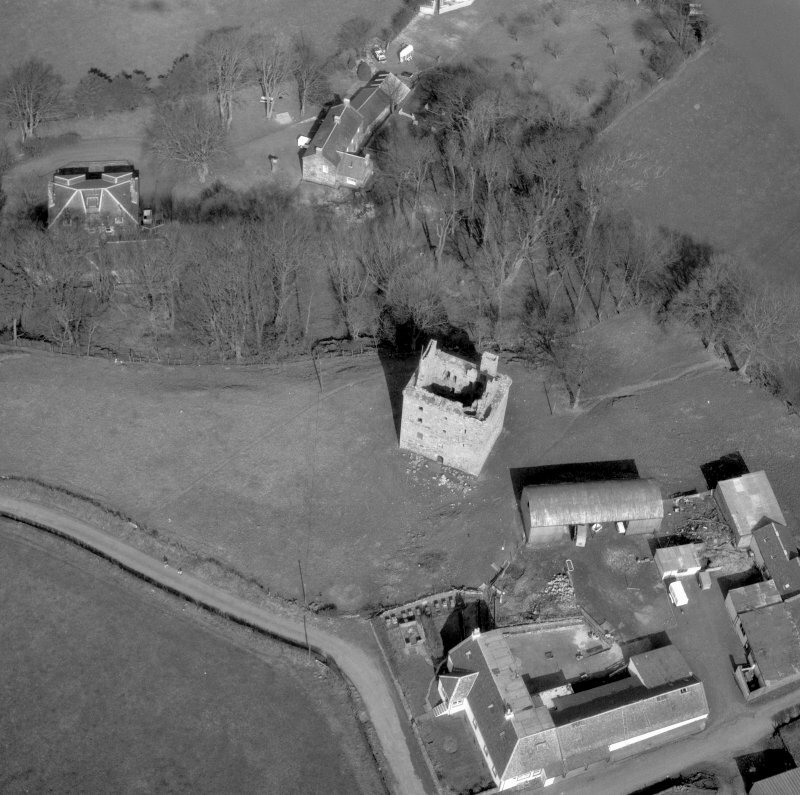 Oblique aerial view of Law Castle, taken from the E.
Oblique aerial view of Law Castle, taken from the SSW. 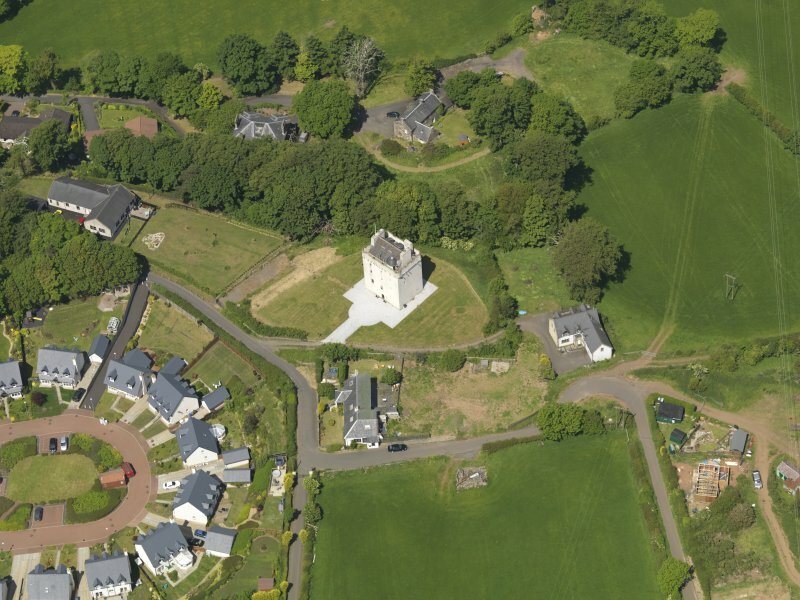 Law Castle. View from West. 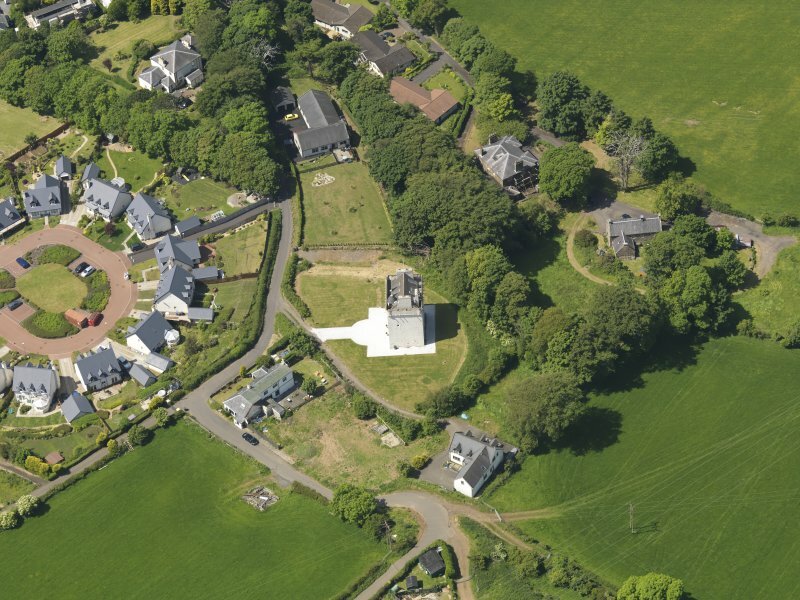 Oblique aerial view of Law Castle, taken from the NW. 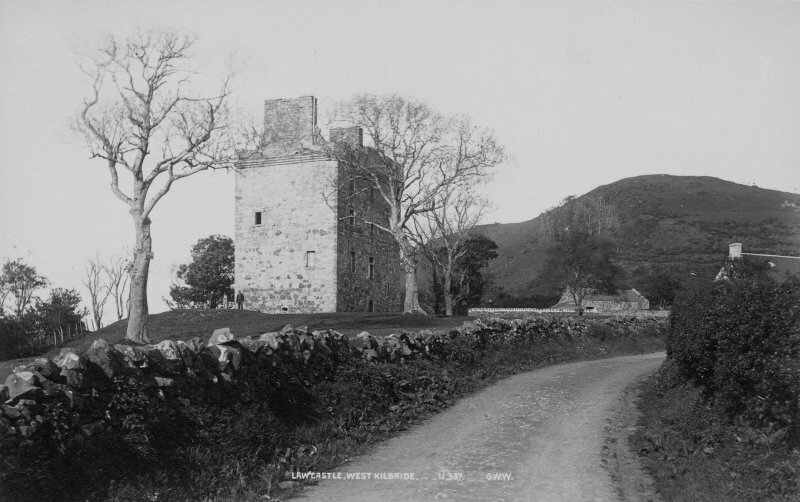 Law Castle is believed to have been built about 1468. Though now roofless, its walls remain complete. 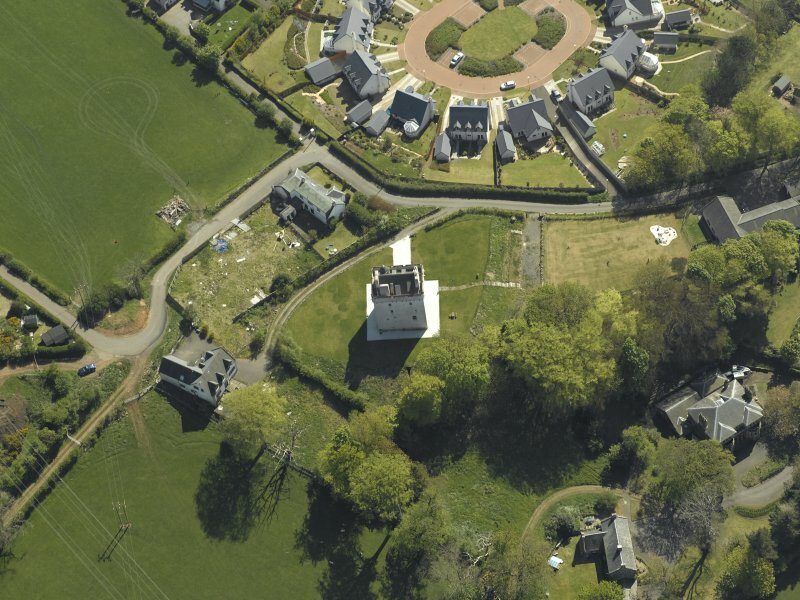 It is oblong on plan, measuring some 41ft by 30ft. 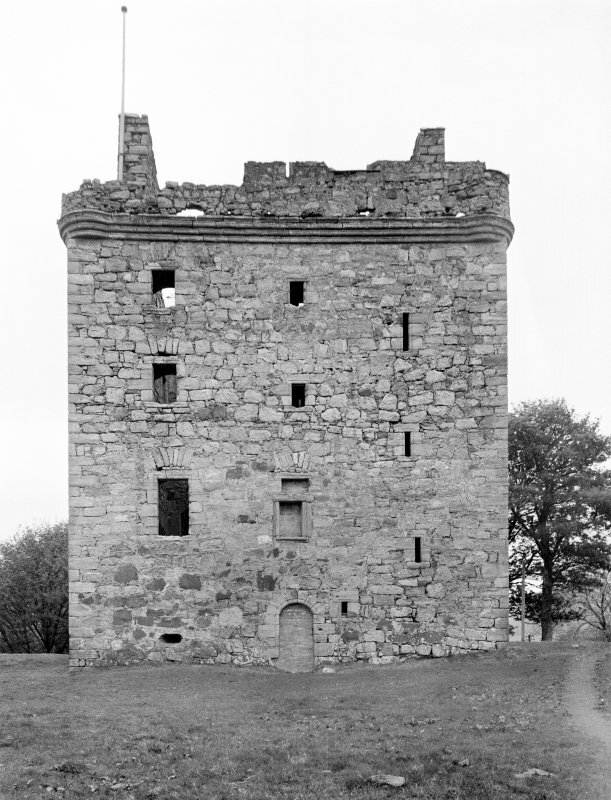 There are four storeys beneath the parapet, the garret storey above having fallen in. 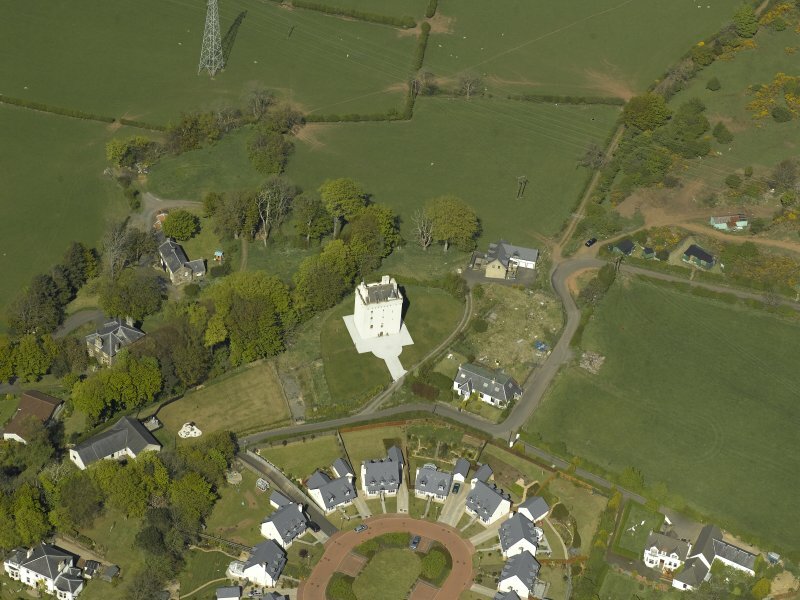 Law Castle, which is as described, is in fair condition. It is a very good example of a tower of this type. No charge. 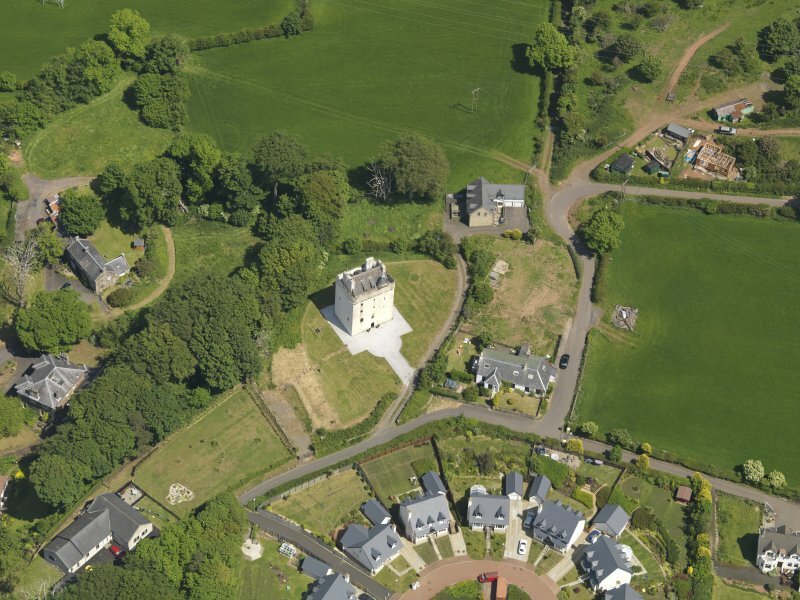 The castle is unused and there is no public access to the interior. 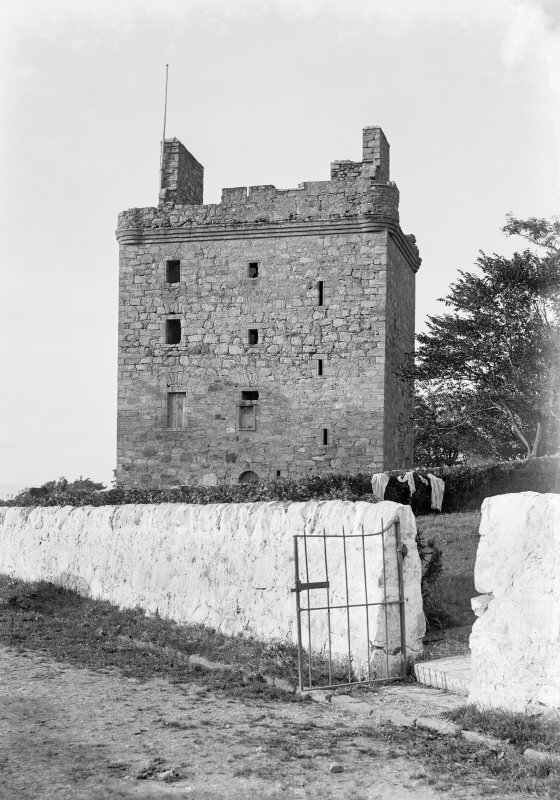 A plaque, of unknown origin, on the W wall reads: "Law Castle: Built in 1468 for Princess Mary, sister of James III, on her marriage to Thomas Boyd, later Earl of Arran. Gunports were built after the introduction of cannon. 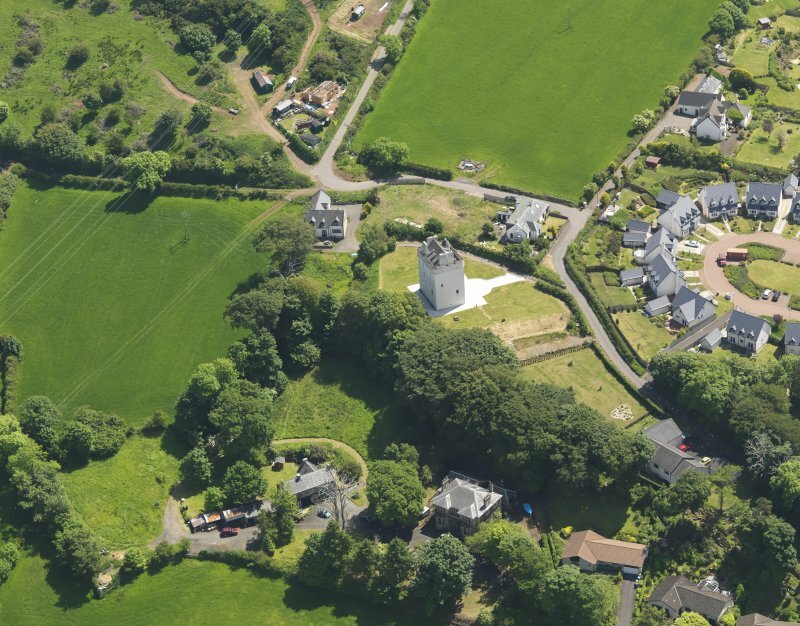 A very good example of a medium sized 15th century tower with three floors and two vaulted cellars". Information from OS 14 June 1989. 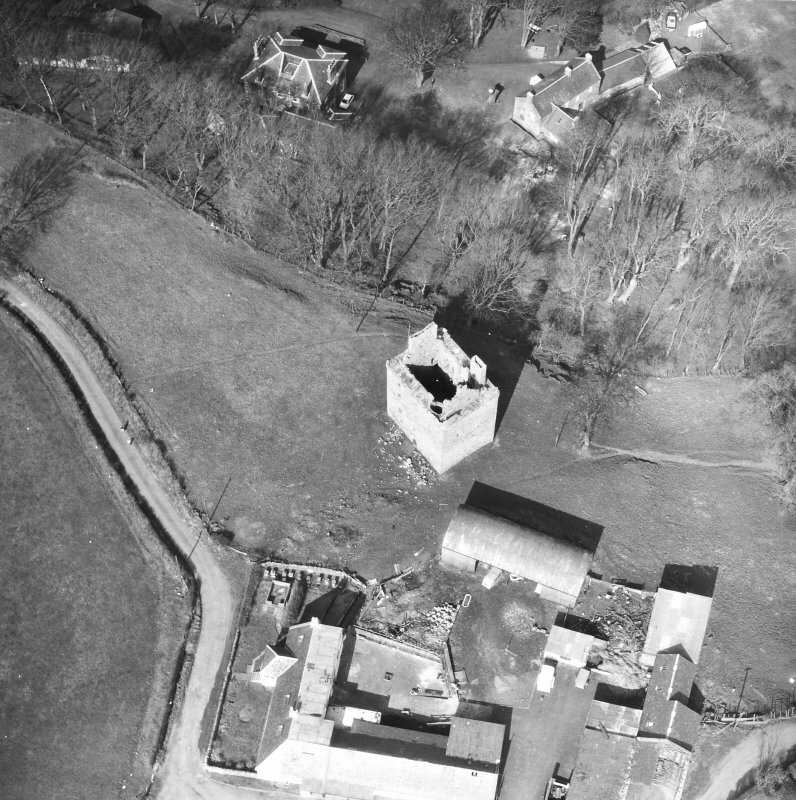 Non-Guardianship Sites Plan Collection, DC28169- DC28173, 1937.